Mid-City is the heart of New Orleans – both geographically and culturally. This eclectic neighborhood connects the idyllic City Park to the north, the historical Treme to the east and the industrious Central Business District to the south. If you’re searching for real estate near the VA Hospital, Mid-City is also near the medical corridor. But Mid-City has plenty to offer besides an ideal location. The residents of this neighborhood can choose from a variety of restaurants and bars with local flavor and hospitality. Liuzza’s epitomizes New Orleans cuisine with its famous onion rings and fried shrimp po-boys. Another hot spot, Finn McCool’s Irish Pub, which earned its accolade as the best neighborhood bar with its sponsored leagues and events alongside refreshing spirits. Oh, and can’t forget Twelve Mile Limit, be sure to give the Baudin a try, so tasty! Additionally, Angelo Brocato is a neighborhood staple for its creamy gelato and scrumptious cannoli. If you are looking for neighborhood attractions, don’t worry, Mid-City has you covered! 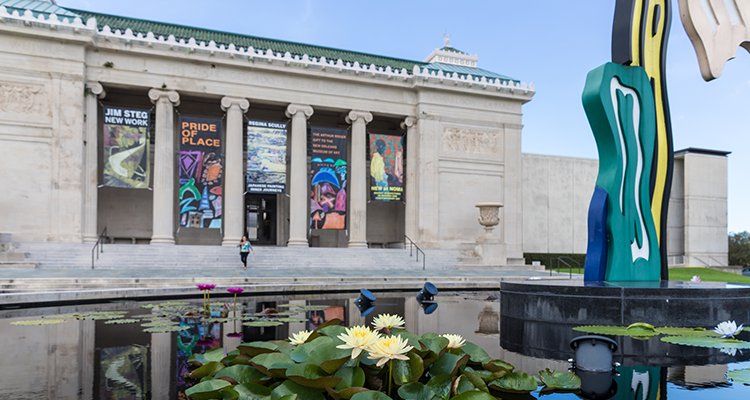 Also, another thing to check out includes the New Orleans Museum of Art (NOMA), where locals and tourists alike can find exhibits showcasing the country’s best artwork and artists. For even more fun, every year the neighborhood hosts Bayou Boogaloo. This live-music festival is home to delicious food and creative arts and crafts. There’s also the Crescent City Farmer’s Market for fresh produce. And you can head to the Mid-City branch of the New Orleans Public Library for public computers and bountiful books. Located just minutes away from Mid-City, the green space of City Park is ideal for recreation and exercise. Also, you cannot forget the nearby Bayou St. John features even more picturesque settings for outdoor activities. 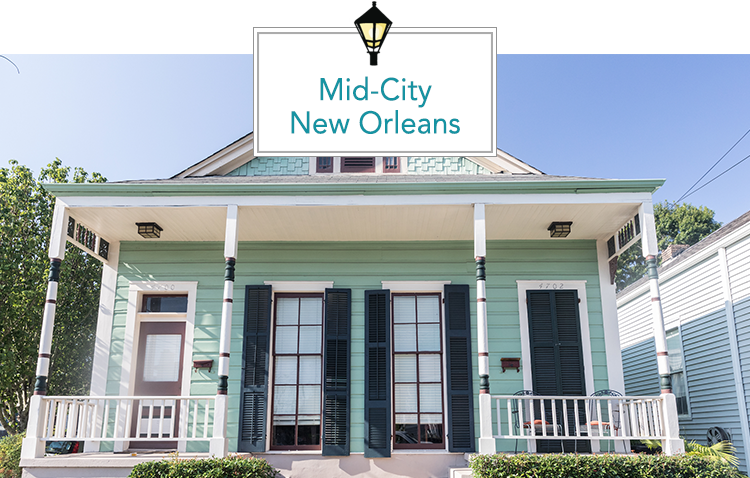 Mid-City is home to many single-family townhomes in Creole and double-gallery styles, shotgun houses with colorful personalities and doubles for purchase or lease. 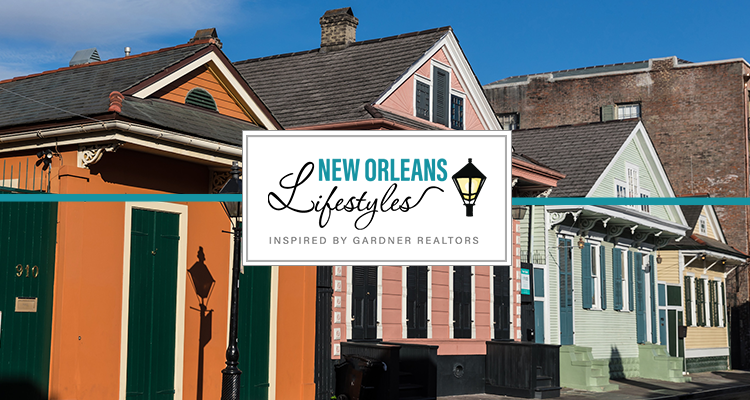 This neighborhood is perfect for anyone looking for relaxed living in New Orleans without the hustle and bustle of downtown. We’re local. We’re global. As an affiliate of Leading Real Estate Companies of the World® and Luxury Portfolio International®, GARDNER REALTORS has connections to the very best real estate brokers who are experts in everything involving your home!